If you find any bugs or fixed you like to see lemme know. I will release some fixes anyway but currently i think the track is ready for a first release. 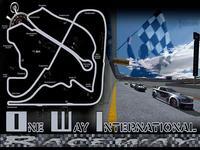 There are currently no setups for One Way International Raceway. Add a Setup. Thx Gold Blender got lot nice helpfull plugins and scripts. I use it because it is free. 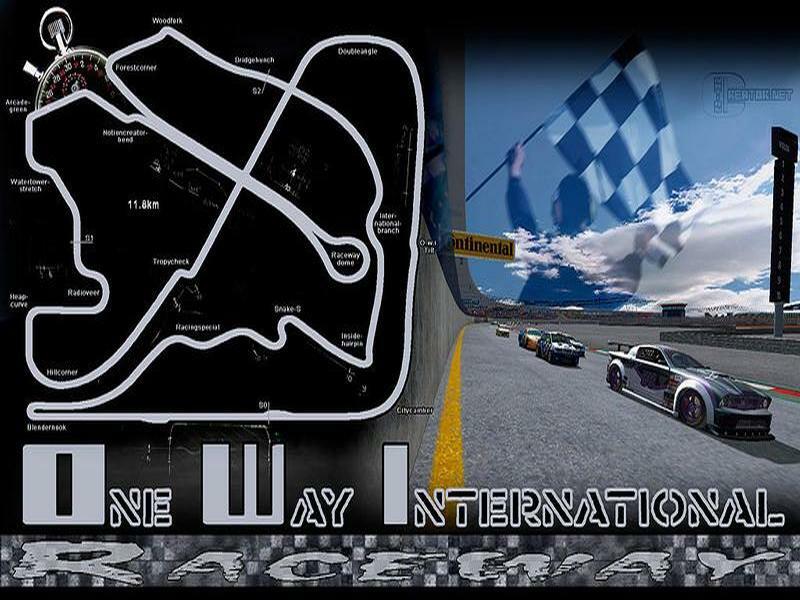 I think there is no limit or difference to 3dmax to create quality 3d objects ..and a racetrack isnt more then that. Biggest problem i see is, that blender dont have a .gmt export tool, a batch export or any other plugins that wouldt be helpfull for converting it into the right format. Biggest problem here is the time you have to spend for converting it 2-3 times befor you can drive on it. Like Owi Raceway has around 2500 single .gmts i had to export all by each manualy - very painfull work. 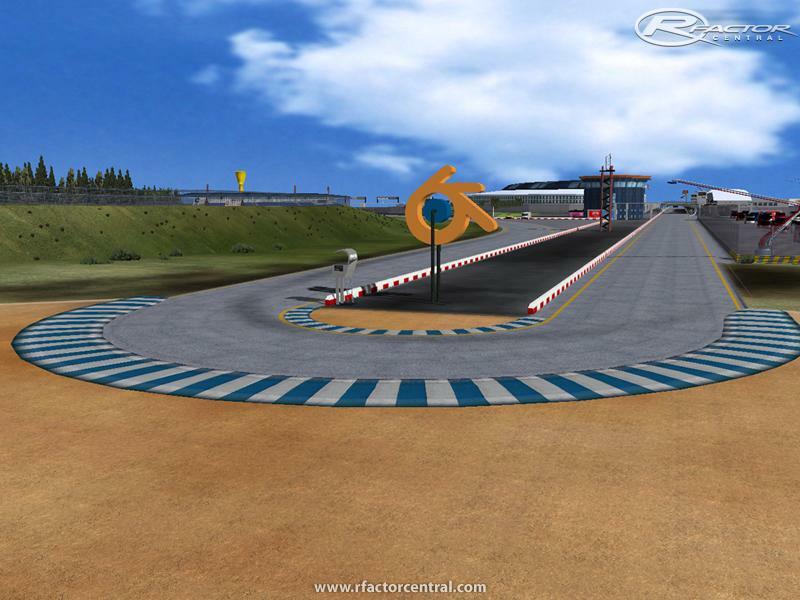 It is because of this track that I have confidence in making tracks for rFactor using Blender. I somehow drawn interest making tracks for rFactor because of this track. Racing this course was a very unique experience, and I think you've done a great job making such an exciting track. It is certainly a unique track with the elevated pit lane and the glass pit roads above the Start/Finish straight. One of the coolest touches to me was the 3D Blender logo in the final corner. So while 3D Studio Max is the preferred 3D program, you've given a lot of us Blender folk hope in making quality tracks. I am still very poor with Blender, but I have a lot of respect for you in making this course. I really enjoyed it. Thank you. This is a really fun course to drive. The layout is very interesting. It is also a well made course. However, it does have some problems. There are lots of places with z-fighting going on. This is where two objects are nearly co-planar and it results in flickering textures. One way to fix them is to give them more seperation. I really like this course and when these issues are fixed it will be even better. I hope you will be able to fix them. Best of luck. thx rutin.. will change the filter with next update. Usually we set 50% of full lenght, it is 39 in Monaco for instance...we calculated and the result for your very long track (Q3 best lap was around 3:11) was 13 laps. pitcrew was AIW error. Something i was overseeing. how much rounds was ya driving? Btw, how you solved the problem with the pitcrew? thx kimi.. atlast someone likes it harder like i do but sorry i dont change it again. It is cool now even i luved the first one to, for a leaguerace the shikane is way better and safer like it is now.